Do you work for Ruby on Rails? Learning about Ruby on Rails? We can help. "Good for prototyping, terrible for scalability"
There is a wealth of documentation and community support out there for getting up to speed with Ruby on Rails (RoR) quickly. Most of the ideas you can think of for a new application already have gems / plugins / tutorials that show you exactly how to get what you want without writing a lot of code. In many cases, you can write some code that is your best guess as to how something should work, and it will cover 80% of the cases you need to handle, thus giving you a minimally viable product (MVP) you can bring to market quickly. Although you can get 80% of what you want quickly, the remaining 20% takes 2x to 4x more time to get than with any other solution we've tried. Both Ruby (the language) and Rails (the framework) were written assuming that they would be used only very specific ways. As your project -- no matter what project it is -- grows, those assumptions no longer fit your use case, and you find yourself fighting the language and framework more than it is helping you. RoR makes it very easy to keep adding scope to your MVP to the point where you have so much technical debt that you end up having to rewrite everything. What was once fast and easy for you to iterate on is now very slow and hard to maintain. It is very easy to get into but hard to master; consequently, it's hard to find qualified RoR talent without paying 2x what it costs for Java Enterprise developers. In short, RoR does not scale as your business scales; it becomes an albatross. Lastly, we hate that it only really runs well on Linux. It barely runs at all on Windows, requiring our team members that use Windows to run a VM just to work with Rails. Only use Ruby on Rails for prototyping / creating a minimally viable product. Plan for the right time to start transitioning away from RoR as your product / project grows. RoR is good as "glue" between other larger services, but not as an enterprise product. Don't fall into the common trap of continuing to add more and more functionality to your MVP until it eventually becomes a large, slow, difficult to maintain monolith that scales poorly. Our business needed a way to quickly turn an e-commerce idea into a minimally viable product we could start selling immediately. It was a good fit for our start-up to see if our idea(s) had legs, and to pivot quickly as we found our product-market fit. "Easy to host and build. Best webapp framework"
Very Easy to learn. Even beginners can design well functional websites with-in a few days using Ruby on Rails. There are very good tutorials for your help. Development is very fast compared to other frameworks. Very supportive and active community. Building Minimum viable product is very time efficient. Performance is not that good when the application grows and reaches scales of millions of users. If the app is big, it takes a lot of time doing simple stuff. So it's like a trade-off between performance and ease of use. It very easy to learn and start with. So just dive in without second thoughts. Community support is great. I used Ruby on Rails for a couple of projects. One of them was to design a portal for automatic synchronization of data center inventory. I spent less than one week to set up the whole system and able to design a working solution as most of the desired functionalities were available in terms of libraries. Feasibility testing was also very easy and development was very fast. Ruby on Rails provide for you all required stuff to start developing project from tiny blogs to hish load complex sysytems. Simple start, a lot of gems, generators, api mode, large community. Fast and usefull updates, up-to-dated docs. Flexibility of framework settings. Easy to build automated tests, A lot of cool DB adapters. It's pretty hard to update Ruby on Rails from 2x to 4x and higher. Monkey patches. Could take a while to set up another DB like mongodb because there a lot of active record calls. It would be good to have some js frameworks support. HIghly recommend to use with RubyMine and remove turbolinks gem. I am building different apps starts with simple blogs and ends with global heavyweights which is including 1M+ code lines. Ruby on Rails perfectly copes with these tasks. Starting with Rails 5 API mode included which is allows any kind of API easier and faster. "Easy to learn language, that gets the job done fast." Ruby on Rails is easy to learn. You can go from knowing nothing about it to a full blown web app in less than one day. You should know how to program, of course. But the point is that it's easy to use and time to deploy is quick and relatively painless especially with a tutorial, something like Pragmatic Ruby is a good one. It's slow. Once you have a big app, it can be bloated, and take a lot longer to run things than if say, it was all in C. So there is a compromise, between easy of use and performance. But, the bright side is that there is an active community constantly trying to improve Ruby on Rails and make it better, and faster. It's quick to learn, and has an active community. Just dive in! Have created a web app with Ruby on Rails that thousands upon thousands of users use daily to improve their lives. The convention over configuration mentality is the best thing about Rails. I have worked at so many places where they used their own framework concoction or it grew up organically, and you spend the first weeks just learning the framework, and then the rest of your work-life trying to solve problems in that framework that have been solved by way smarter people than you. This is what Rails solves in a simple, easy to learn, great documentation and scalable way. The sluggishness of the framework. It's definitely plenty fast for most use cases it's just that I know I'm wasting a looot of cycles on the Rails framework. It's totally worth it and hardware is dirt cheap, it's just that my service is not so revenue intensive so any corner that can be cut is worth looking into. Do it! Do not write your own or use an obscure framework with little-to-no-community. I use it for every new and current app that I am maintaining and using as a hobby project. Have worked at large-medium sized corporations that used it for hosting a customer facing dashboard and a sales website. "Rails provides a strong toolbox for agile development with flexible conventions for productivity "
Some of the first things I liked coming from PHP frameworks were the Ruby language and the "convention over configuration" paradigm. Once you get that into your mindset and with the help of the Ruby on Rails guides and scaffolding tools you will have a solid base structure to focus on building the features that matters. Having tests as a first class citizen also allows you to learn really productive/agile stuffs such as BDD and red/green refactor cycle. What's even better is that Rails is incorporating new technologies with each new version. For example, web sockets will be included in Rails 5 via ActionCable and Rails 4 included ActiveJob which was something you have to do "manually" before to have support for async jobs. And something really important when having code in production is the Rails security reports google group that is constantly reporting security issues with patches and/or instructions to mitigate vulnerabilities. There are not too many things I dislike about Rails but despite one of the things I like best are conventions, some of them I don't like too much like concerns. Perhaps another thing I don't like too much is the level/length of the component stacks but maybe that's something that is improving over time. I mean, for a given point in code execution there is in my opinion a long stack before it. Most of the times those are part of tools/gems you're using but IMHO some things could be a little more flat. Anyways, I'm not a Rails contributor and I have to agree with the tradeoff between productivity and code execution efficiency. Don't hesitate to start reading the Ruby on Rails guides. They will guide you in the right direction and you'll see the open road very quickly so you start going faster and further without much effort. - Web app for a battle of rock bands contest with integration to Soundcloud to play tracks in contest and Facebook to like each track, band and the whole site as well as Facebook polling in that time. - Web app for presidential voting in Paraguay 2013 allowing users to compare candidates side by side, with information gathered with a Rake created to navigate other websites using Nokogiri and some other tools. - Web service API for retail store to be used by client apps running on tablets allowing offline processing and distributed creation of resources based on UUIDs. - Web service to provide financial reporting of people and companies to clients such as banks. - Web management system for small/medium sized retail companies. - In www.tweetandlove4g.com our most recent project we've implemented an idea of an agency company, a web app to convert tweets into MP3 audio tracks getting notes from tweets, in Spanish such do (C), re (D) and so on (don't know how long is going to stay in there). In this project we leverage Rails template and layout system to create a 2 pass algorithm to render staff as partial layout first and then to place the notes in the staff in the view. "Small Web Development company using rails for 5 projects"
We've been using rails across 5 projects that our company is working on and I think it's really true what they say about Rails - "Allows small teams to do big things". We've moved several projects from other Frameworks to Rails mainly because there's a good amount of functionality out of the box and we really don't need to waste time writing code for that. It's allowed us to focus on building the product rather than looking into things like routing and adding things to the database. We've also found that the rails community is really helpful and active which has also helped us grow into better developers. Because we love the rails community quite a few of our developers have also started to give back to it which is really nice to see! Rails has quite a steep learning curve and also a lot of care needs to be taken into integrating other frameworks such as AngularJS to a Rails app. We've also seen that since there is so much magic that rails takes care of, there is a chance that developers sometimes don't understand what is really happening in the background. We generally partner up with startups to provide them with technical partnerships. We've realized that rails allows us to build really flexible apps that are able to keep up with the rate of change that startups generally function with and give them the flexibility to change their business model. "Full stack developer on Ruby on Rails since 2009"
High productivity, readability and maintainability. Ruby is an excellent language to allow the developer to focus on high level software design concepts. Process based concurrency is very inefficient. Rails used a lot of RAM, is hard to make real time applications with it. For most web applications Ruby on Rails will be perfect, it will allow you to be productive and have prototypes running quickly. With quick feedback from the client will have the ability to be very agile and adapt to the cleint's need. For more business it provides un-parallel value. Now, the exceptions, Ruby on Rails becomes a problem for HUGE applications, mainly because it uses process concurrency. Each instance will only serve one request, and you will beed several dependencies for inter process communication, this also means that is complicated to make real time applications. Ruby is a slow language so if you need performance you will need to add more server resources in most cases. We have several E-commerce and SEM applications. It allows new developer to quickly become productive, and we can implement new feature pretty quickly, clients are always impress when they see features coming out 1 or 2 weeks after they requested, they have teams that use other tools, some based on java, and those take months to deliver features. It's a great tool for creating MVPs. It's fast and beautiful. Rails code is clean and effective. I also can use free heroku server and it's great. Rails is opensource framework. Documentation is also almost perfect and you don't need to read something else to start coding. There is also some good rails content management systems, e-commerce engines etc. Dependencies management (but it's mb because i've used php before). What was also important for me is Windows compability, but i know that it's more likely my problem, not rails's :) (I used railsinstaller and sqllite on windows). There are not so many junior dev job offers, so it's hard to find a job, if you are junior developer. Especially if you are not in USA (but it would be fair to say that the ratio of remote work to office work is the best). It's difficult to learn Rails if you used php before like I did. But you'll see that your code becomes cleaner and effective. Fast testing of hypotheses. I think it's one of the best tools for startups. And also it's secure (most of the times). Also rails developers salary is high, so you don't need to think about finace issues, you can just do what you like to do. The community surrounding Rails is vast. This provides a great array of tools that people have built to make developing for Rails much easier. It also means there are people using Rails in a wide range of applications. This feeds back into Rails development, making it a tool that works in many situations. Rails also has a vibrant testing culture. This makes for more reliable products that are well built. It is so easy to do TDD using Rails. This has saved me many hours of hair pulling as every aspect of the products is tested. Overall TDD has improved our release cadence and reduced our code churn significantly. The Long Term Support is lagging behind what one would expect from a paid product. This is obviously because it is an open source community maintaining the product. However there are paid solutions people can buy into for LTS. RoR is very easy to pickup for anyone with a basic working knowledge of the MVC pattern. We are working to solve problems relating to Christian Ministry as it interacts with technology. As the most significant advancement since the printing press, computers are simplifying the way we do donor management, outreach, internal communication and much more. With so many cool things we could make to advance the cause of Christianity, we needed a tool which would enable us to do rapid, reliable software engineering. Rails has provided us with the capacity to write fast, write once, write TDD software. Ruby on Rails makes it fast to bootstrap your product and get an MVP running for a small startup. If you're in a larger company the Rails monolith allows you to enforce standards like default database structures, and routing patterns. Ruby Gems make it trivial to add additional functionality to your environment and amazing testing frameworks like Capybara and Cucumber make TDD and BDD a breeze. Although still relatively young at under 10 years old, it's been battle-tested by companies like Twitter and Github. There's something to be had for developers of any level. Because Ruby on Rails enforces standards, it makes it difficult to sometimes tailor your platform for specific needs; there's the "Rails way" of developing and deploying which can be drastically different than what developers may be used to. Additionally, the monolithic nature of Rails made it difficult to use Rails as a back-end while employing a front-end like Ember.js. Active Model JSON Serialization has alleviated some of this stress and Rails API has been merged into the upcoming Rails 5.0 release making this less of a concern. Play around with some of the tutorials and hosting a local instance. Even if you're not familiar with Ruby, you may find yourself enjoying the "Rails Way" of development. Ruby on Rails has allowed us to develop products for customers in record time and enforce standards across our development practice. Our development team has been able to congregate easier around a methodology and embrace code reviews and Test Driven Development. "Ruby on Rails - review"
For quick web development, ruby on rails is a wonderful framework that works like a charm. Ruby as a programming language is very easy to code and learn and rails is completely based on ruby. The MVC elements are bound very well in ruby on rails and it enables us to write clean, reusable code. Also there is a very good community for ruby on rails. As your web application grows bigger, ruby on rails may just slow your app a little bit. This is in comparison to others and this is one major drawback of using ruby on rails. We have a web based application that uses ruby on rails. The app is used for creating and managing various tests and exams conducted by organizations. Ruby on rails favor quick rapid development when a new idea props out. "Great for small to medium projects "
Learn about the latest Rails standards before you start coding, else you'll reinvent the wheel. "Awesome web application framework for anyone that wants to get started right away"
We use Rails as a web API for our mobile app. It has many tools right out of the box and has many conventions that makes many configurations unnecessary, which make it very quick and easy to deploy. The Rails has an awesome documentation and a community is enormous, and just about every beginner question has been answered, this makes it very beginner friendly despite the poorly documented underlying language Ruby. Because of the size of the Rails community, there are many third party gems that cater to your needs. The "conventions over configurations" philosophy behind Rails can also be frustrating to some developers looking for a more customizable solution. For example, as a web API, Rails has a simple-to-use JSON parsing tool as long as the JSON structure mirrors your underlying models. However, if you want to create custom JSON, this can result in extremely verbose and ugly code. If you are building a simple, standard, dynamic web application then Rails is a great tool to use. We use Rails as a web API for our mobile app, this includes using Rails to communicate with the database, and other services that we use, such as ElasticSearch, Amazon S3 etc. "Principle Ruby on Rails Engineer"
How easy it is to generate documentations. How human readable the code is. How easy it is to keep your code organized. How fast it can be to build solutions and measure results. How it encourages the user of needy practices and take advantage of software engineering principles. While Ruby and Rails work on Windows, a significant number of gems were developed with Unix in mind without being tested on Windows. This force the developer with a Windows system to either install a Unix vm or find away to deal with incompatiblities. - Build a unified interface that integrate various systems together. - Develop modern front end for legacy software. - Provide an API to access a closed system. "I love ruby on rails my favorite framework"
"Still recommended choice to build website and API"
Rails is an old enough framework, but it's still a good choice for nowadays project. It's itself a collection of best practises. Not to mention it has a big ecosystem. Both of them can boost up the projects for startups. Even you can not find the gem to solve your domain problem, you can build your own wheel with Ruby (with some low level gems), it's a joy journey. Rails also inspires many other frameworks, that means if one day you switch to another language & platform, you can still use some of the experiences. For example, you can reuse 80% of the experience in Phoenix framework if you care about concurrency. Rails is not for newbies. It's productivity based on "I'm experienced about web and I know Rails has solved lots of tricky problems", but not "I have less experience so I need a framework to help me to keep away from those details". It's not actually a disadvantage. But be careful not to shoot your feet. A real problem is, you need to judge what to use and what not to use from a lot of gems. Some of them are awesome, but maybe not very fit for your project. You can build a prototype quickly by using lots of 3rd party gems, but later on you may find the code is hard to modify and upgrade. Choose wisely for Rails built-in parts and 3rd party gems. Rails is extracted from Basecamp, that also means some of the solutions are affected by Basecamp. Many people like to call them the "Rails way". It's not good for everyone, so you still need to judge. Elixir and Phoenix may become the biggest competitor in future. Elixir's syntax and metaprogramming attracts a lot of Rubyists, and Phoenix inherits Rails' productivity. Erlang VM is one of the best platform to write concurrency, fault tolerent programs. These things are not easy to do in Ruby world. Frankly speaking, Rails and most of other web frameworks are just "shells". You just build a web server to handle requests and delegates your real business layer. But Rails and it's ecosystem gives you a very convenient way to integrate many things you want. Because many tools care Rails integration. Recent years I use Rails to build APIs. And I found I can still use many things from Rails. The ActiveRecord is awesome, for more complex SQL I can use squeel gem, for full-text search I can integrate Elasticsearch, etc. API isn't just a data layer, you still care about authorization, service layer, background jobs, and more. Rails make it easy to do such things. I even think it's better without it's view layer. "Fluent Web Application Development with Ruby on Rails"
The thing I like most about ruby on rails is it's Conventions Over Configurations mindset. Everything in rails has a convention of where to place stuff, how to do it etc. If you're following the conventions of rails, the framework lift you a lot of heavy burdens. The drawback of opinionated conventions. Most of the rails conventions are great and reasonable for normal web development process. But business needs are not always identical and there will come a time we have to do things that rails didn't configured to do. This is the moment rails' magic is dispelled. You have to look into a lot of stuff just to customize something not the rails way. 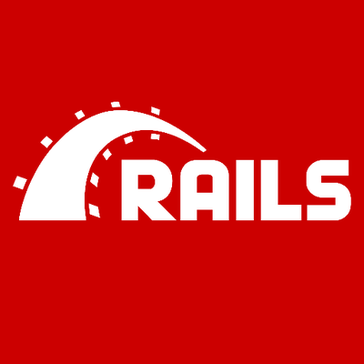 If you're into web development, definitely check out rails. Even if you end up using other langauge/frameworks, you will learn a ton about web development best practices from rails community. I've built a few office management systems, ecommerce system, small civic apps with rails. The main benefit of rails is that it's very easy and productive to create a web application. Especially for small typical database driven apps, the productivity of using rails is really high. Also when you're prototyping ideas, a quick and fast rails app can be a huge win. Been using RoR for the last few years in 2 different companies and for a few side projects. Ruby on Rails is a great platform for rapid application development. It has a great ecosystem and different deployment options. Lately we use it via JRuby so we have access to the entire Java ecosystem as well. Ruby is a great language. Allows you to do a lot of complex things very easily. Ruby on Rails was a very influential framework. It has led to the importance of ReST and platforms like ASP.net MVC, Groovy on Grails and a few PHP clones too. Rails has stagnated a bit lately. The problems with business logic are deep and need to be handled separately from Rails. The "Rails way" has deep problems with maintainability because REST is really not sufficient for complex apps. I find the Trailblazer approach great. There are still no mature alternatives in Ruby for full service application development. There are alternatives like Lotus but they are not ready yet. ActiveRecord is a good ORM and Rails is still a great choice. Any custom logic can be put into Rails. I have worked on appointment scheduling, sales systems for custom home builders, purchase order distribution, custom payments. There are no limits. Only super high performance stuff could use a better platform. "Build web app in couple months"
I been using Ruby on Rails for years. I am a senior level professional software developer. I was doing JAVA before. I can tell you that Ruby is much more productive than JAVA. More importantly there is a way of Rails, if you follow the convention there is less room for errors. Well there is limitation of it. Currently it is in a strange position with JS on the front-end. Mainly because most the developers in the Rails team are kind of old school and still try to do web page instead of web app. Nowadays i see Rails more of a API server side than page rendering framework. Do Ruby on Rails it is the best. But consider doing JS and frontend separately. Ruby on Rails is the best tech to build API. Ruby on Rails is the best tech to consume JSON API. Ruby on Rails is also a valid choice if you just want to build couple pages without fancy frontend works. Ruby on Rails is definitely the choice for start-up! I been working in all sort of business really. Ruby on Rails is really a cool framework it definitely more productive than many other choices. "Wonderful framework to work with!" My favorite part about Rails has to be the "opinionated" part of it. Yes, you may find yourself battling the framework for some unconventional things, but the time saved using it is enormous! This was also a huge benefit when learning the framework because all tutorials stay consistent with where code goes and configuration. routes go in routes, models are in models, views in views... Comparatively, when trying to learn node.js/express.js, you could find a tutorial on posting a form, then another for handling files, and the server setup is completely different. I dislike the asset pipeline when dealing with frontend framework, mainly angular.js. Things can get messy fast here in my experience. There are some great resources best practices for connecting angular and rails though. Just the learning curve of angular mixed with integrating it into rails turned me off from using it one of my projects. Rails is a mature framework at this point, which is a huge benefit. It is easy to scale and in rails 5 they are adding ApplicationCable for dealing with web sockets, which has been a pain point in rails for awhile. The extensibility is remarkable. The Ruby on Rails gem community is still thriving. I have not run into many problems where gems were out of date, or didn't work as intended most of the time. Rails security appears to be strong especially with the default options that help prevent common vulnerabilities like CSRF and XSS. The learning curve when first getting started is relatively steep. It takes a while to get used to the asset pipeline, and some of the configuration that's required to move on from a simple app. I currently develop two Rails products. One is an internal application developed for a security company, and the other is a public facing app called Preferred Athlete Scouting Services. The former solves a problem for our company relating to generating vulnerability reports to our clients, and sharing/collaborating on projects and reports between employees. The latter is a basketball player management system that provides access to important information regarding potential women's basketball recruits to college scouting programs. "Ruby on Rails as a primary framework for two big internet portals." Ruby syntax is very friendly and it encourages users to write the code like a story. Object oriented model is the core of Ruby it allows to apply OOP principles in a very easy manner. Moreover it opens new horizons with the full power of meta- programming. There is a joke: when you use lightweight framework for the project after some time you would have a huge monster that will try to do the same things as rails do but in a very pervert way. Rails is a very stable framework that combines one of the best ORM I have ever seen, easy routing module and nice aggregation of useful modules, that make life easier when you are thinking about the security, scaling and maintaining of your application. "one of the best frameworks"
* Great community - very large and active. * Still under very active development. * Lots of good assumptions, promotes good application structure. * ActiveRecord - it's good for people who are new to this field. But it's really easy to fall into its traps. * Scaling can be tricky, especially for newcomers. * Doesn't enforce good practice. People can easily write bad code to get things done. A high performance web based application that serves both internal and external users. Connects to multiple databases and integrates with data analytics application to run data analysis and generate mass amount of pdfs. Integrates with 3rd party APIs. "Best framework ever for startups"
Easy to read, loaded with gems (libraries), and very active community. A game changer when you develop somethings new. It also quite easy to maintain if you follows best practices. In some situation performance can't match with other framework and of course, big stack came with great RAM responsibility. If you want to start somethings quick in a short amount of time, go ahead and use Rails, once you grow to certain point you might need another solution to help strengthen the area that Rails is weak. We are doing all sort of the impossible things and Rails help us to archive that in a very short time. "I have been able to made a successful career out of Ruby on Rails"
I really love developing with dynamic languages, and Ruby is clean, fun and very flexible to use. I don't like very much the lack of concurrency, and also that it can get a little bit slow if you don't take care of what you build. uages, and Ruby is clean, fun and very flexible to use. Get involve with the Ruby on Rails Community, because the community will get you far with your mastering of this tool. We offer to our clients the best technical solutions and web servuces they can get, we basically use Ruby on Rails to build all of our products. "Quick to get things running, easy to maintain." What I love about Ruby on Rails is that it's so easy to just start working on something an get things running fast. We have build fully running products in just a few weeks from inception. Rails can sometimes be quite intimidating for someone who has just started out, especially if they are from a background of non-scripting languages. Follow standard stacks that are tried and tested. We are building platforms that make business for users much easier by consolidating all their work in one place. The best benefit is the speed that allows us to go through the learning cycle really fast. It is a very productive environment, many libs and gems to save time and keep developer happy. It is a very easy to use framework. There is a gem for almost anything you need to create. The rails guides are concise and very detailed. It is an open source project so you can go directly to source code to understand how does it work. It has a great community and it is a top programming language on github. There are too many magical methods and conventions, sometimes you need to go directly to the gem code to understand how does it works, the documentation for most of the gems is minimal. A platform for online education. There is a dramatical increase on my productivity compared with other techs like Java or PHP. "A quick way into web development"
Rails makes it simple for folks with little to no web application development experience to begin building robust websites. A lot of the ease in the Rails framework is due to "magic" which makes some tasks confusing. I've found myself having to dive into the Rails framework source code on several occasions to understand what was going on under the hood. We use Rails for building quick applications that serve internal business purposes. I think the best in Rails is the way that everything you expect to have is there. And the great community behind the framework. There is a loot of tools (gems) that help you in the process of building a great software. And there are some others tools that can be used to improve the performance or even to improve the way you do the code. The speed, in comparison with other web frameworks the speed is not the best. I doing web pages, so it helps me doing that. Currently working on several products and Rails help me a lot from the start because it's really easy to setup, and the is easy to continue with the maintenance of the product if what you do it good, otherwise you can get in a mess. "Ignited my passion for OOP and web development." I like that it is relatively simple to start an application. From starting you first dev instance of the app to pushing it to a production server always seems fast and efficient. The flexibility of Ruby on Rails allows you to incorporate a variety of existing web technologies into one app. Whether that is Database related or front-end framework related it is quick and easily to integrate existing technologies and create a robust application. I have few complaints about rails. The documentation can always use work I suppose. You can create fully customized web applications that are scalable and dynamic. I have solved clients problems with ticketing services and online ordering. The benefits I have realized are strongly related to the database relationships you can create with Ruby on Rails models and controllers. "Ruby on Rails is a high productivity framework aimed at web developers"
Rails favors convention over configuration. This means that, out of the box, it suits a lot of the modern web developer needs. We have used it for both API servicing a single page app, microservices, and traditional Rails app. The defaults are very sane and aimed at giving everyone a good experience. With such a huge project, it can be hard to get into open source contributions. Rails tries really hard to fix this, but it's still a reality. We have shipped traditional applications, single page applications, micro-services, etc. We server high expectation SaaS space. "Ruby on Rails is a great framework." It's very easy to quickly generate all the pages you need with rails g scaffold. it neatly organizes the file structure for you and reminds you to test. It takes care of linking the files for you and there are a tremendous amount of packages which will do most anything you need. Ruby/Rails is slower than a python/Java, there is no auto-refresh and it is a bit obvious that it was not generated for a Single-Page application which consumes Ruby on Rails API. Things like JSON web token are not easily done. Attempt to rebuilt the language using sinatra to get an in-depth understanding. Watch M. Michael Hartl's book on Ruby on Rails to learn a professional perspective. Enterprise level permissions and granular control over routing on the front-end. "Simple, easy and fast to develop"
The simplicity, the big community of users, and the variety of sites with information about the framework. It is much simpler than Django, and I have experienced that it's much faster using this product. The simple 'promises' between the user and the developer can act as an entry barrier for newcomers. It is very easy after getting used to it, but still it can be displayed and trained in some way. "My First and Only Web Framework"
It eliminates a ton of boiler plate and provides a robust environment that lets you focus on development. There is a massive, extremely helpful community that has created a ton of useful documentation and libraries for just about everything. It is a pain to get setup initially, and tends to make OS updates a lot more painful than they should be. I built my company's technology using this platform. "Quickest way to develop a scaleable web app"
Ease of development. You can setup a quick API and website pretty easily with minimum efforts. Sometime encapsulation comes on the expense of performance. Running API, website, background tasks - all done with rails. Easily extending old functionality. "Ruby on Rails excellent for rapid prototyping"
Ruby on Rails is great for rapid prototyping. Quickly scaffold out a prototype app in minutes and get running live! Sometimes it can give me errors, but most of the time it's smooth sailing. Ruby on Rails provides a comprehensive coebase that covers a variety of technical needs. "Great Tool for Rapid Web Development"
The tooling rails provides is second to none. Beware the amount of dependencies the gems you use introduce as that can be a source of complexity. Take a look at the massive community of libraries built for it. Its a very mature product and the work in and around the framework show how big of a following its built. We built our entire stack in Ruby on Rails and no complaints so far. There are things it abstracts away from you that have cause problems in the past. Implicit ordering and other such features. However, those minor problems don't take away from the fact that we can get new engineers up to speed incredibly quickly. Convention over configuration concept. Usual features for web applications are available in a box way. Many things happens hide from the developer eyes, this can be dangerous for inexperience programmers. My team is building the world's best hotel metasearch using Ruby on Rails. Productivity in a test-driven web application. The ease of development and creation of web applications. Wish there was a more documentation to figure out complex objectives, but that's way of software development. We solved a problem in our company by developing a web app in rails to manage customers & their jobs(work orders). To create work orders & also log and print the workorders off. The Ruby language is truly the best feature of the Rails framework, but the contribution of David Heinemeier Hansson has been to exemplify the idea of 'convention over configuration'. When working in Rails, there is almost always a clear and efficient path to a solution (within the confines of web applications, at least). This makes Test-Driven Development very attainable, since the components needed for a new feature are easily worked out before the feature is built. This, in turn, expedites the creation of new applications and the maintenance of existing ones because it permits safe assumptions and expectations about organization. Sometimes the creators of Rails take convention-over-configuration a little too far, resulting in undesirable libraries and limiting patterns being included with the framework. This, I feel, has made some trending concepts and architectures (SPAs, for example) unnecessarily complicated to implement without relying on other technologies. The Ruby language is very nice for a developer to work with, and the inclusion of Action Cable in Rails 5 may finally make Rails a reasonable choice for real-time web applications. I would, therefore, choose Rails over alternatives for nearly any project, especially if working with a non-static team. Recently, my company required a RESTful JSON API for an Angular application. Adapting the existing application to this use was a breeze due to consistent patterns and organization. I have repeated this experience with numerous feature requests, and picking up where someone else has left off is often trivial.